Let’s be honest, this week is all about food. No matter what you say you’re going to do this week – whether you’re trying to catch up on work, run, workout, do yoga, spend time with your family – you know that ultimately, you’re only doing those things until it’s time to feast. Or is that just me? We’re hosting friends for our annual Taco Giving party which means I spent quite a bit of time in my kitchen this weekend. 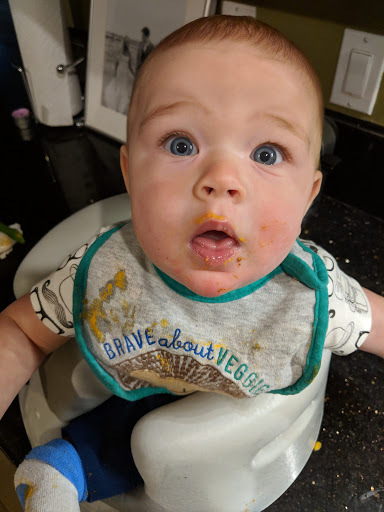 I wanted to get as much prepped as I could before the week kicked off as my time to prep day of will be greatly limited by a certain 7.5 month old. I was looking for some new inspiration for toppings for my homemade ice cream (a Taco Giving tradition), and stumbled upon a recipe for peanut butter cups in my friend Genevieve’s new cookbook, The 5-Ingredient Paleo Cookbook. To be honest, the thought of making candy (and peanut butter cups, no less) seemed daunting at first. I was about to just flip the page and move on, but as I took a closer look, I realized the ingredients and steps didn’t seem so far out of reach. 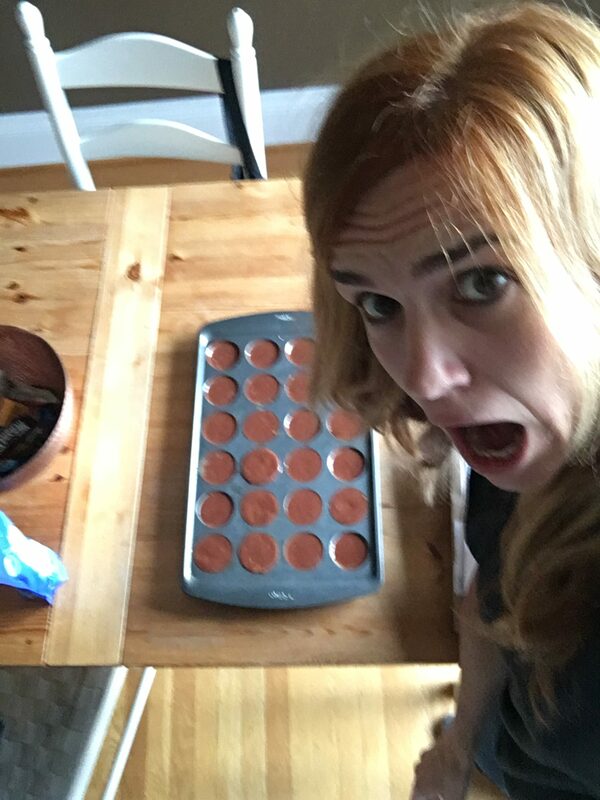 After making said peanut butter cups (still patting myself on the back), I thumbed my way through more of the book and discovered that there are a surprising amount of easy to follow, vegetarian friendly recipes in it! 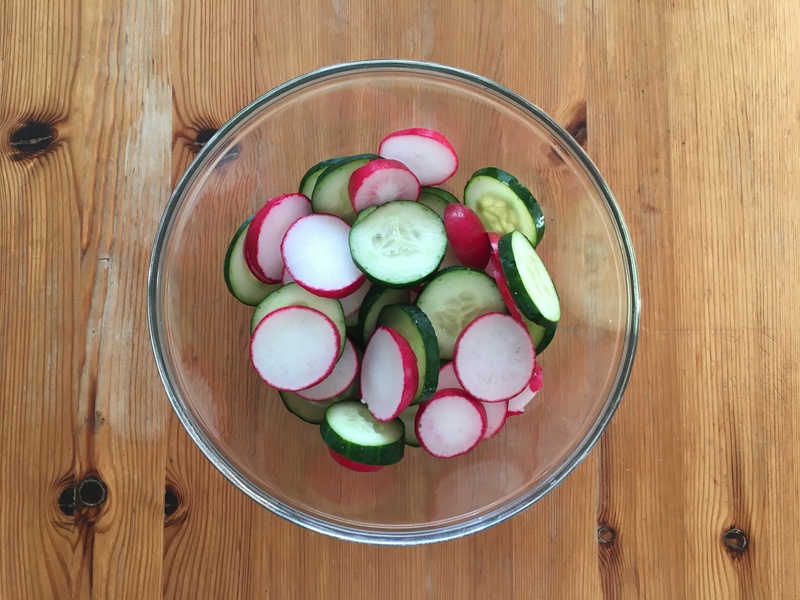 I ended up finding so much inspiration for Thursday’s taco feast – like this radish and cucumber salad with dill (so simple, yet so delicious). The book offers over 100 simple paleo recipes using just 5 affordable, everyday ingredients each. Check it out here: https://amzn.to/2zN5Spv. It’s a great book for anyone looking to eat healthy and save time and money in the kitchen. To kick off this week long celebration of food, join me in sending a huge congratulations to my friend Genevieve (@fittyfoodlicious on Instagram and Facebook) on her new book, The 5-Ingredient Paleo Cookbook, and enter to WIN your own copy. I’ll be picking winners on Monday 11/26 after all the feasting, prepping, and wondering if our pants are ever going to fit the same way again! 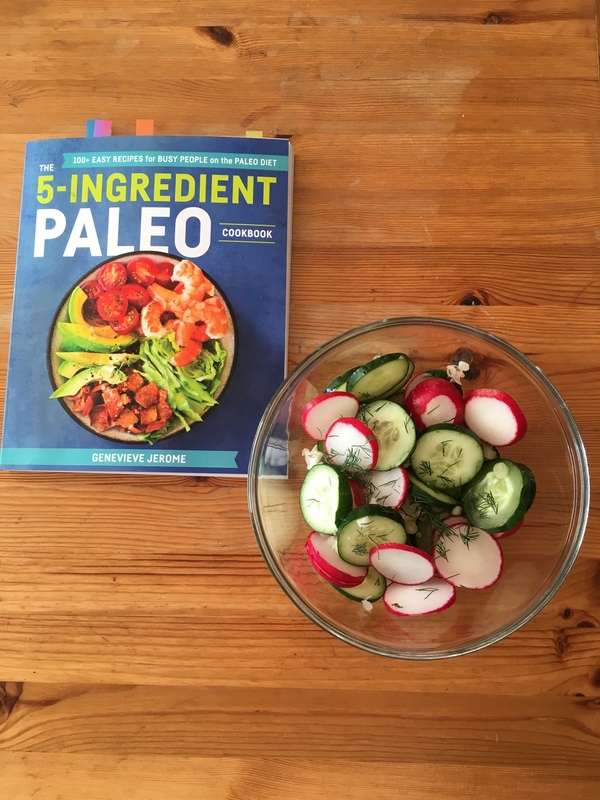 Disclaimer: I was provided with a review copy of the The 5 Ingredient Paleo Cookbook. That said, all of my kitchen inadequacies, love of food, ice cream topping debates, words, and thoughts are my very own. The radish salad and peanut butter cups look delicious! Enjoy the holiday week. Ah I have been looking for a super easy new recipes- this looks perrrrfect!